Ganache Confections, hidden away in Ghatkopar East, is a revelation to all food-lovers. 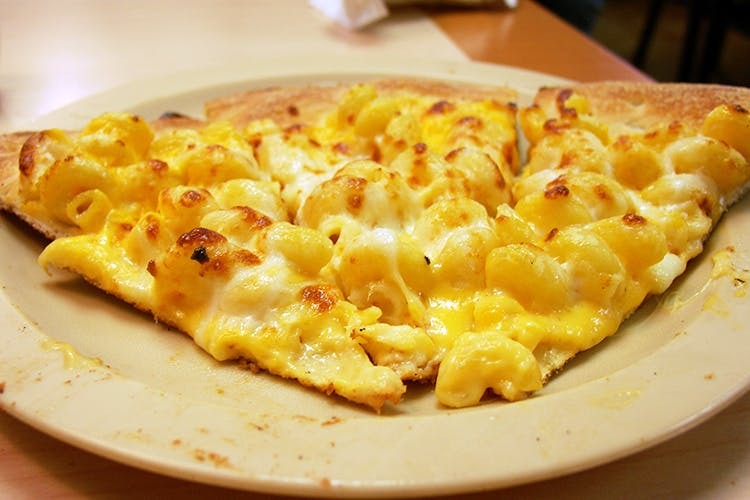 A small cafe, it makes delicious and experimental food, and its most popular dish is the mac-n-cheese pizza. Combining all powers of the comforting mac-n-cheese and the mighty pizza, they present to you the mac-n-cheese pizza. The pizza is incredibly cheesy and stretchy and can be shared by two people. A pizza costs about INR 250, so take a couple of those newly-acquired 200-rupee-notes there and you're good to go. There's a whole lot more that you can enjoy ratatouille, Mexican beans burgers, mac-n-cheese fries, crunchy tacos and more you can eat here. Are you tempted, already? Go here and get the best of both worlds.